Gunning for a better critical reception than fellow live-action fairytale Alice Through the Looking Glass, David Lowery’s high-profile reimagining of Pete’s Dragon is the latest movie to tumble off Disney’s fairytale production line, and a new trailer and poster arriving today showcase the ways in which the filmmaker – best known for Ain’t Them Bodies Saints – is offering a new spin on an old classic. First released back in 1977, Pete’s Dragon is a heartfelt tale revolving a young boy (Oakes Fegley) who considers himself a forest dweller. With no family or home to call his own, Pete wards off loneliness by befriending a giant, feathery and winged reptile, much to the amazement of Grace (Bryce Dallas Howard). 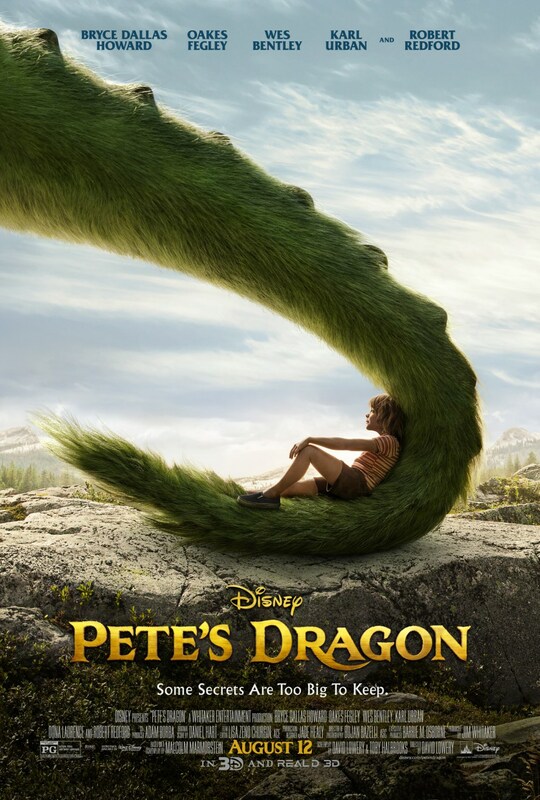 Also starring Robert Redford, Oona Laurence, Wes Bently, and Karl Urban, expect Pete’s Dragon to take flight in all of its feathery glory when Disney’s live-action reimagining graces theaters on August 12.